Even a driving instructor's got to have a life. Don't get me wrong I'm happy to be busy. Couple of years ago there was a period when I thought it was all over. I'd go any distance to pick up pupils and bend over backwards to keep them as work levels were so low. Now times have changed and it seems driving instructors now have a better set of problems to deal with. Being self employed it's difficult to turn away work. It's certainly not something I enjoy doing. Yet things are so busy I'm working more hours than I said I would. It can get a bit depressing getting up on a Sunday morning to go do lessons. It means that there is not a day when I don't open my eyes and then just stay in bed. 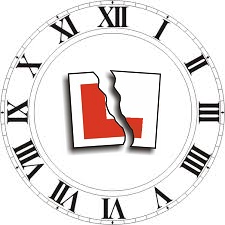 Everybody needs time for life and driving instructors are no exception. Pupils and their parents don't seem to think we are due a bit of rest. They will actually call at 11.00pm on a Saturday night. Now that's something I just would not do unless I was calling for an ambulance. I like to think that it's inappropriate to call anyone I don't know at such an ungodly hour. When I do talk to potential pupils they seem put out when I won't start at 6.00am or work until 10.00 at night. They might be ready for a lesson at 5 o clock on a Sunday afternoon but I am not. When the lessons have finished the job is far from over. Getting home means a quick coffee and a fag and then on goes the laptop. After answering any phone messages it's on to the emails. I always respond to messages as I don't want to get a reputation for ignoring enquiries but it can go on for an hour or so if I'm not careful. An hour of unpaid work after a really long day on the road can be so draining. Don't want to sound like I'm moaning but I'm sure other instructors know what I mean. I've only got time to write this because I've had a cancellation. It's important that we don't overwork ourselves. If we allow ourselves to get fatigued then the lesson quality is bound to suffer. As we know this can have dangerous consequences in the long run. I think we have to learn to say no sometimes. Future pupil numbers are never guaranteed and it's wise to make hay while the sun shines. Trouble is the sun has been shining for over a year now and shows no signs of slowing down. Could we relax a bit knowing that the next few months will be OK? I think we can. Not everyone is busy according to what I see on the internet but here in Nottingham it is booming. Let's not overdo it out there and forget what it's like to have fun. Over and out. Driving on ice can be very revealing. Last week I did a few lessons in between Christmas and New Year. We had a good bit of snow here in Nottingham but I didn't let it interfere with lessons too much. We're preparing people for real life driving so it's good that pupils get experience in all sorts of weather conditions. Holiday week means there's less traffic on the road so an ideal time to get some practice in. It all depends on the pupil's experience and confidence when I take them out in the snow. People have different attitudes towards it. One person who is having refresher lessons phoned up to cancel. |I always give people the option of cancelling late without charge if conditions are bad. I was a bit disappointed that they didn't want to do it. As they have already passed the test and are just bringing their skills up to date a drive in the snow would have been ideal. I thought it a missed opportunity but you can't force people into things. A relatively new pupil also cancelled. She is still at the nervous stage anyway and one tiny skid could wreck her confidence. In this case it was good that she made the decision to cancel. Driving on a slippery road is good for developing smoothness in the use of controls. Too much gas on the move off and there's your wheel spin. One or two of these and it's amazing how the learner gets to grips with the biting point and the right amount of gas. They develop this more quickly than driving on a dry road where they can get away with a certain amount of jerkiness. Harsh braking on icy roads results in the sound of the ABS coming on and if the wheels are being turned a small skid. Soon the pupil's braking is a lot smoother as they seek to avoid a skid. Again, excellent practice that you wouldn't get on a dry road. 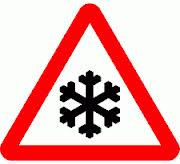 Hazard awareness and forward planning come along a treat when there's snow on the road. Give way lines can no longer be seen at many junctions. Anticipation is required in case anyone is coming the other way and can't see their give way line. Like at crossroads. The Mirror signal manoeuvre routine needs to be started early to allow for gentle braking. Paying attention to the road surface itself becomes a factor whilst trying to keep the tyres off the snow to maintain grip. Yes, they were very good lessons last week. It was a fantastic Christmas holiday altogether. I read a lot of Harry Potter and had a good time with my daughters playing Xbox and watching films. Now the diary is filling up again with new pupils and existing pupils coming back off holiday. A happy new year to all you driving instructors out there. All then best for 2015.